To remind ourselves how Minority and Majority Senator McConnell took down the threat of the Tea Party revisit these old articles: CNN Part Iand CNN Part II both showcase how McConnell works. Then do some research on how McConnell worked with Haley Barbour in Mississippi [SEE HERE]. He’s on Fox News right now, stabbing him in the back. Hey Mitch, ten words or less: What exactly is our “ongoing mission is Syria and Afghanistan”? All of a sudden this SOB has a backbone. 8 years of kissing Barry’s a** then sticking it to a president in his own party. The corporate donors are happy that’s all that matters. I can’t imagine the type of “human” that would say something like that. Every Gull Dam one of us knows full well how to stop this crap. Vote a good one in? OK, then that good one gets spoiled after he/she enters the cesspool. he won’t say it, but that’s what he would say. Hey Mitch, ten words or less: What exactly is our ongoing mission is Syria and Afghanistan? It’s a good thing the Democrats have Occasionally-Coherent. As the Republican party encapsulates what Democrats are today, she will lead the Dems down the road to their destiny, the US Communist Party. At least we will still have two political parties, but they’ll both be left of center. 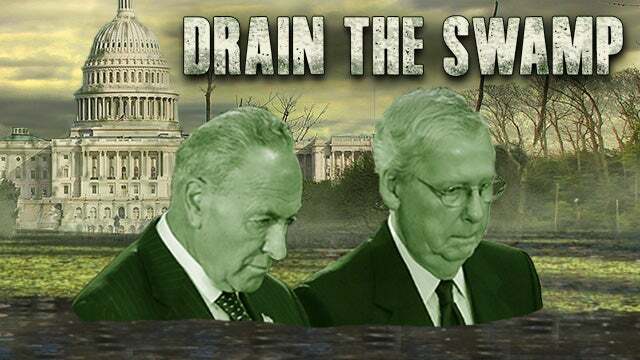 I am not officially proud of you Mitch regarding this betrayal of POTUS. I guess elections have been rigged for so long that you GOPe have gotten out of the habit of answering to your constituents. Bad move. Bad move. Sorry, Mitch, old boy,! You can’t usurp power from the Commander in Chief without amending the Constitution. Even though you may have gotten a bunch of votes in the Senate, Constitutional amendments are just a tad more complicated. Thanks for being clear with your intentions though, Mitch. Rand Paul in a lot of ways is really the only good senator we have. And while you're at it Mitch, send your grandkids over there to fight it along with the rest. Mitch, you reek of piss and death. Alison Grimes was the lesser evil. My heart goes out to the troops and their families. I never had to deploy to a war zone but these troops do it over and over again. I have been a huge supporter of the GWOT, but I now question whether it's worth the continuing physical and emotional toll on the troops and their families. Trump has to take a page out of the Obama book and conduct the foreign policy he deems appropriate regardless of Congress. He is Commander in Chief . He can withdraw troops or order the Army Corp of Engineers to build a wall. BTW. If he fails for whatever reason to build the physical wall, he will never win reelection.